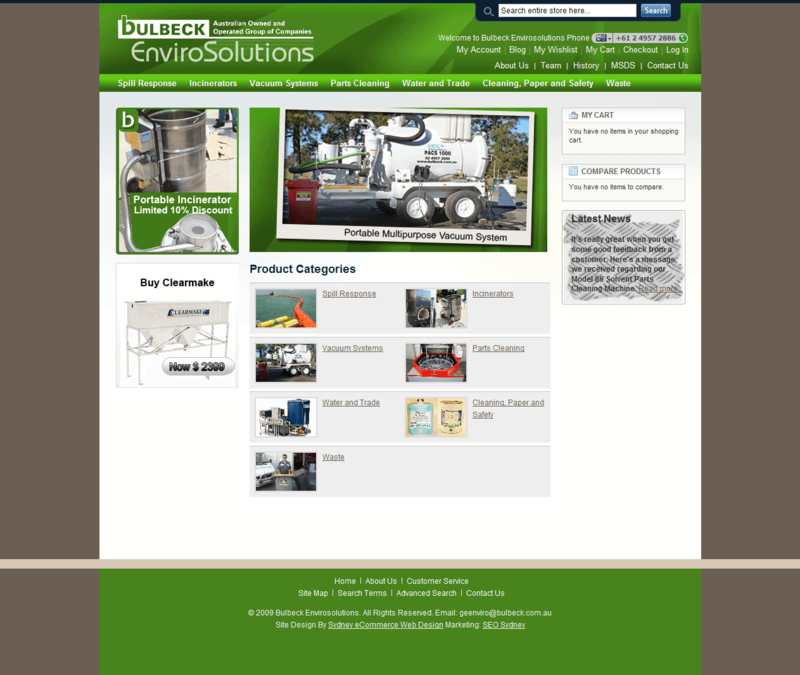 The Client: Bulbeck Envirosolutions, a part of the Bulbeck group of companies. Bulbeck envorosolutions are a well known provider of environmental protection products to industry. Their oil spill protection equipment was used in the cleanup of the recent US oil spill. The Brief: To update the website to provide an up to date catalog of products and allow quotation requests from the site. Marketing was to follow up the site re-design to boost traffic and inquiries from the site. • Total refresh of the company website, creating a new online presence. • Largest sales ever produced after the site was launched. • Best 2 months of sales for the company produced through the website via online marketing. • Multiple top listings in Google search results. • Site traffic increased to be consistently over 1000 unique visitors per month. • Inquiries from new unexplored territories and markets for sales. • eCommerce solution, online catalogue with quotation shopping cart. • Data migration from legacy system. • Custom modification to allow quoting only feature. • Full SEO site architecture to increase Google rankings. • Ongoing Search Engine Marketing, SEO, SEM and Email marketing.